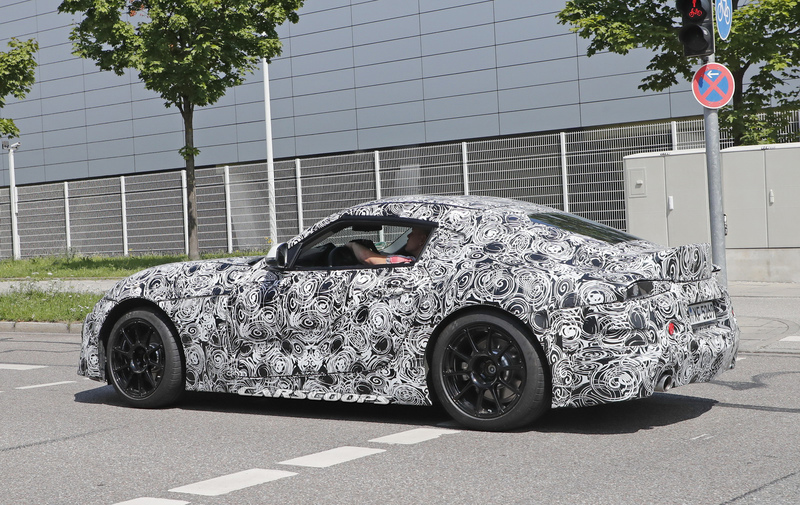 The upcoming Toyota Supra continues its development on public roads and this is the first time our spies spotted a test vehicle wearing its final production headlights. 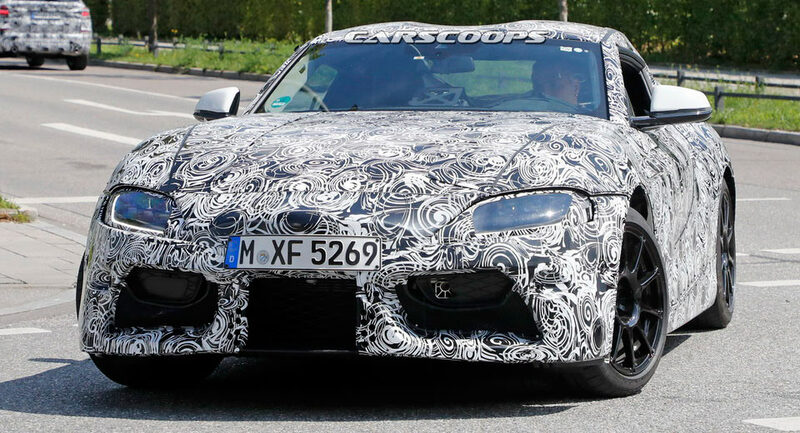 As you can see, the new Toyota Supra will wear a set of full LED headlights that also incorporate a thin LED strip acting as a daytime-running light. 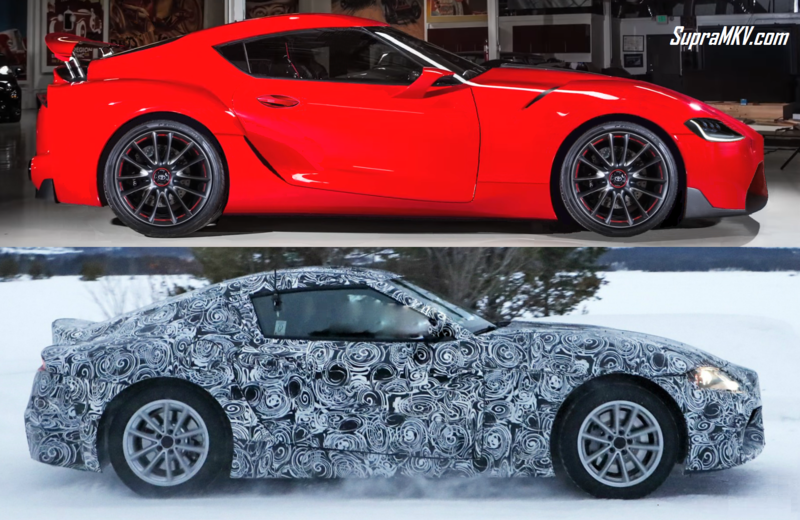 This is the only difference we can spot between this prototype and the last ones we saw back in winter. 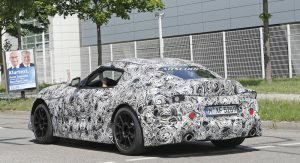 Based on the same platform with the BMW Z4 successor, the new Toyota Supra is reportedly going to be offered only with an automatic transmission. 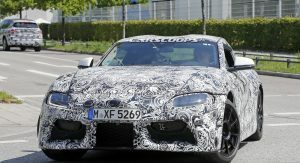 According to SupraMKV, the new Supra will be available in the U.S. with a 248hp four-cylinder unit and a 335hp six-cylinder, with Europe getting an additional four-cylinder engine option. 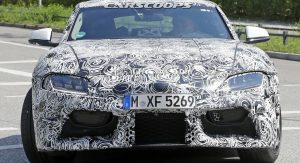 According to the leaked documents, all models will be rear-driven and automatic, unlike its BMW cousin which is going to be offered with a manual gearbox as well. 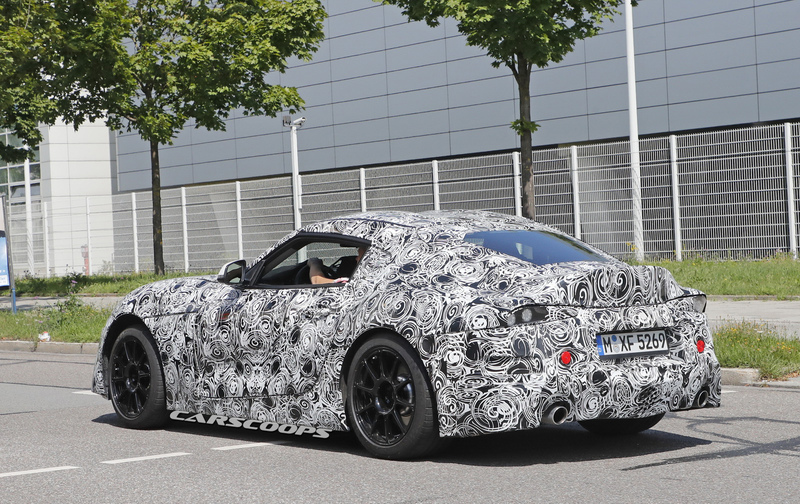 It’s only a matter of time before Toyota starts to peel that heavy camouflage off its prototypes so stay tuned. I really loved the ’90s era Supras. 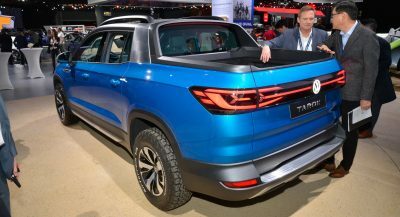 The more I see of this one, the more I fully expect it to be one of the most hideous cars on the road. 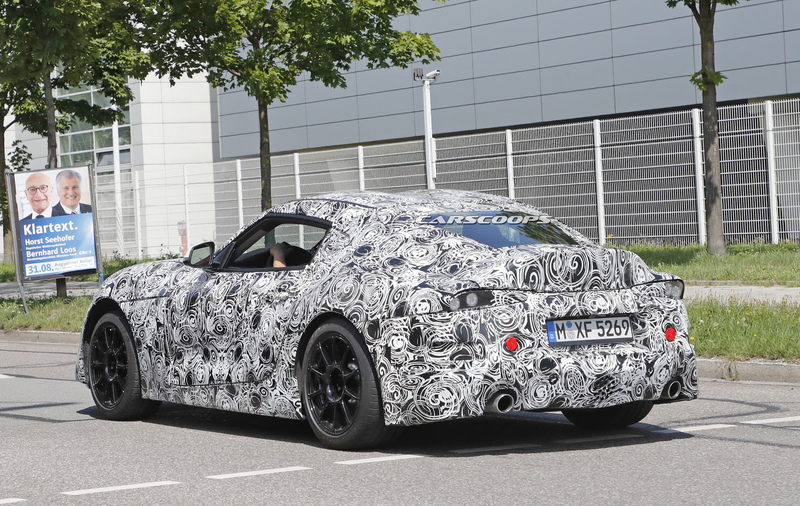 Not sure if it’s fake camouflage panels or what but the car is starting to look a bit bulky, especially in the rear. I just want to kick that pig snout really hard. In 20 years its gained 15HP and an auto box???? Losing all interest in this. First, what a massive disappointment in engines. 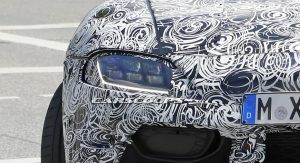 Those BMW engines are not fit for enthusiast’s ears, producing agricultural sounds in the cars they’re currently in, and offer little to no excitement as they build in revs other than the torque of their turbo’s along with sounding like a loud vacuum cleaner. 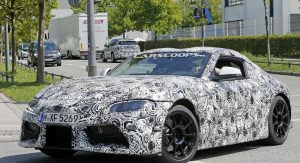 Next, look at how high the door sill is which is not only uncomfortable, its starting to look like this Supra will offer Camaro levels of outward visibility. Lastly, the overall shape looks like a Disney caricature of the FT1 concept they showed and claimed this was based on, in other words, silly, overdone, and not a serious design. Oh well, at least one can still buy used Porsche’s with their excellent flat-6 wail. Not to mention the lack of a manual trans. 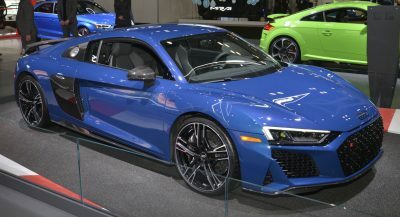 I know consumers are buying them less and less, but offer it on a sports car. Some of us still buy manuals religiously. I’m so glad I didn’t wait for this car. Agreed, there’s still a good number of enthusiasts like us that buys manuals over automatics. What could be hiding under the camo? Unfortunately, I don’t think “that”. Well it is proportional to the prototype. So one can only hope. This will probably be with the slushbox only, no DCT. The 8 speed ZF is hardly what i’d call a slushbox, after using it extensively in an F30 330i, I actually quiet enjoyed it and never found myself thinking it should be faster/smoother or more DCT like. Agreed, the ZF 8 speed is a great transmission. No Supra should have a 4 banger in it. Ever. 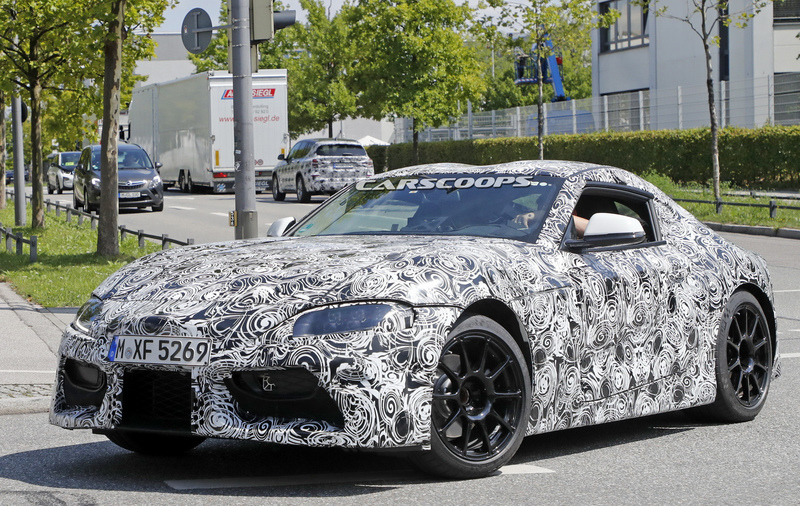 Really, REALLY not looking good for this new Supra. Agreed, I was at first and now, I’m just really disappointed…. 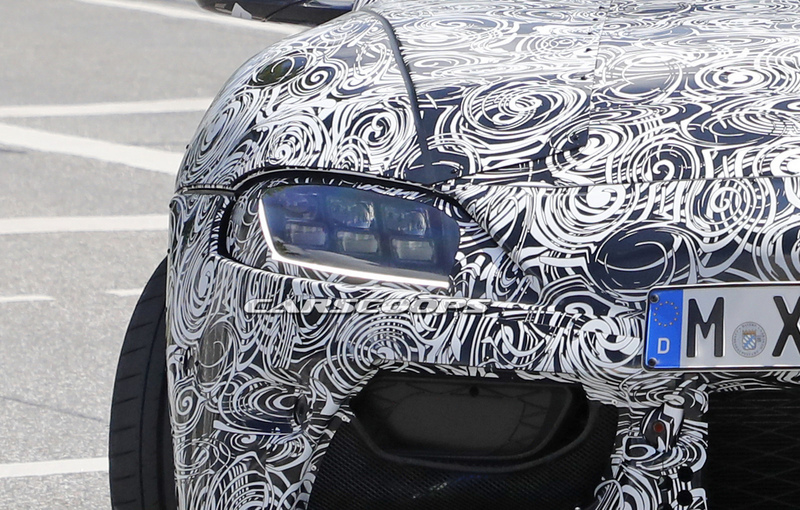 I have less and less faith that this will be an attractive car, unfortunately. Oh well, Nissan Z it is. 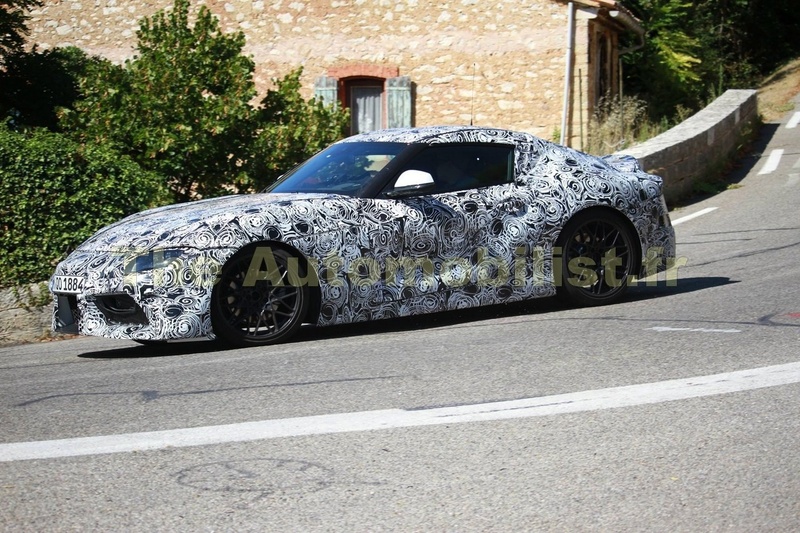 I think if you are actually looking forward to buying this car, you wouldn’t care how it looks. It’s how i felt waiting for the GT86. Once you sit in the drivers seat and take a few bends, nothing else matters. That’s the great thing with cars like this, if it is awsome from the drivers seat you really don’t have to look at its hideous face much. But then again, who wants a car that looks this fugly. I will reserve judgement till it’s revealed. 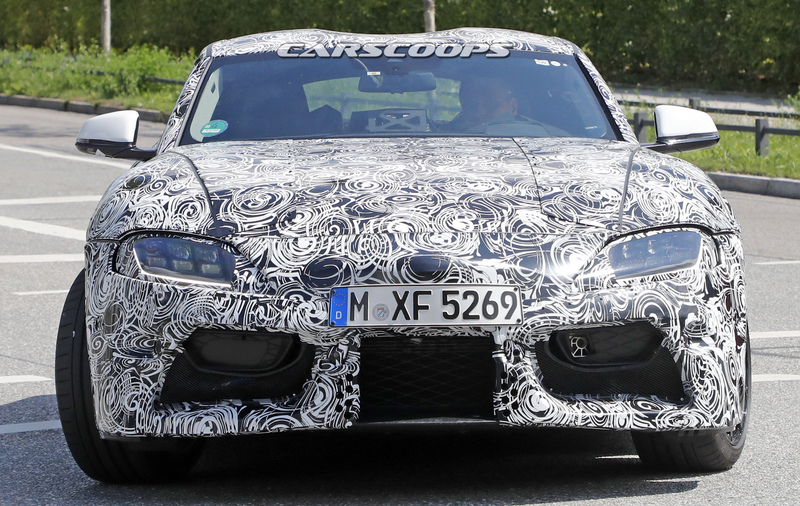 ..but those front brake disks look small ey..
That rear structure reminded me a lot of the Z4 Coupe. Stunning car. That roof looks a bit weird. 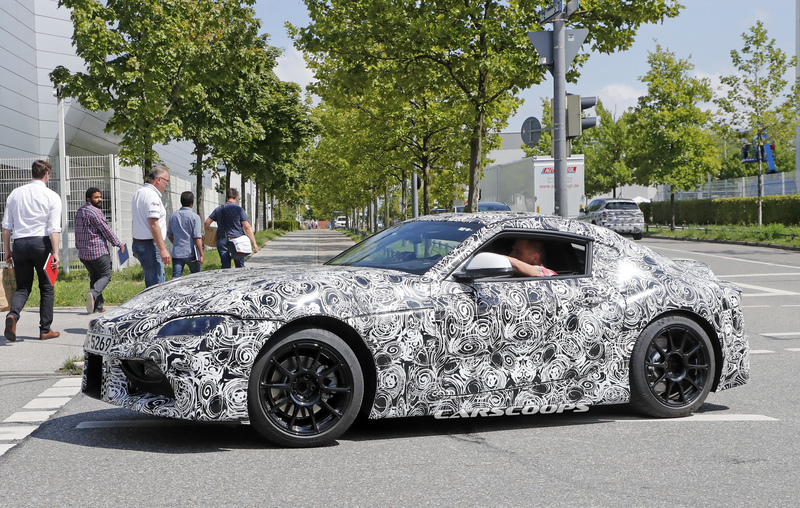 I wonder how “final” this body is; the fit of the panels is all kinds of horrible. Thats because it is covered in faux panels to disguise the real design. Why is the hood higher than the cabin? The driver looks as if he’s trying to veer over a wall. What a horrible line of sight the front end must have. Maybe it’s all just cladding adding the bulk, but the hood is almost even with the dude’s chin. I have high hopes for this vehicle, and it still on the tops of my list for my next purchase. But I have to admit, I do feel a tad disappointment with the early rumors. Granted I have to keep in mind they are just rumors. One thing of note, is I do understand why not having a manual transmission is such a big deal to some people, I just wish these people spoke more with their wallets then just their mouths or fingers to type. It’s a miracle the manual transmission has lasted this long. 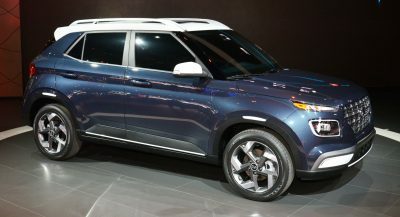 All these “No manual no buy” comments are probably made by people driving automatic Crossovers and Hybrids. I work for a Chevrolet dealership. 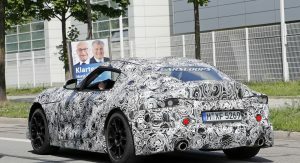 I remember when we got the 2017 Camaro ZL1 got 5 of them in. Four of them sold within 2 to 4 weeks, the one leftover was the one with the manual transmission. Oh we finally sold it, after we DISCOUNTED it nearly $10,000 off MSRP and it still took months to finally get rid of it. So stop giving me this BS about manual transmissions. 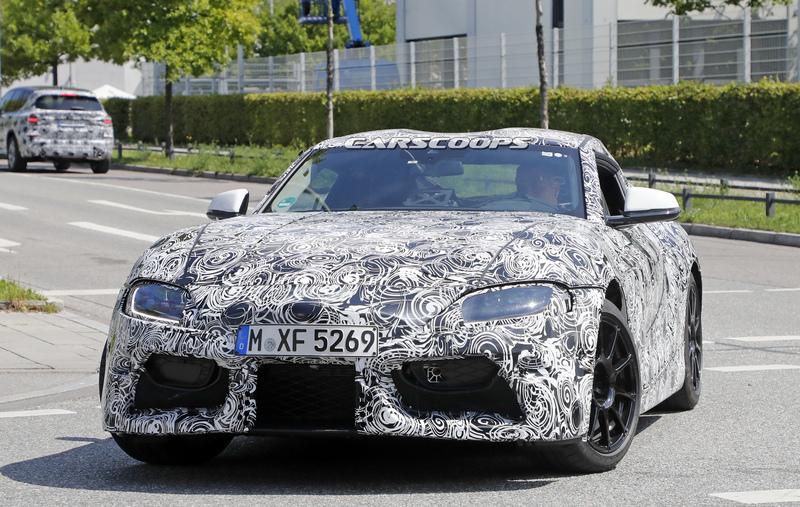 Back to the Supra, I am most disappointed with the rumored engine. Granted the BMW engine is a marvelous engine with great tuning capabilities, but it belongs in a BMW. 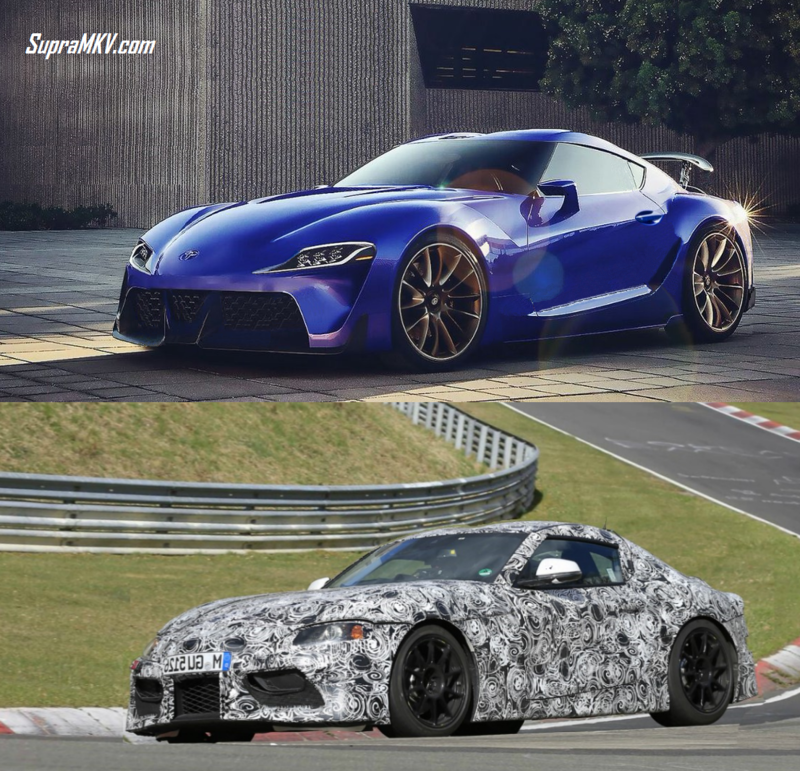 I just wish Toyota would have at least in house their own engines for car. Granted these are all just rumors, so we shall see. Agreed, sadly a lot of enthusiasts still talk a big game about manuals but don’t buy them. Lot’s of excuses, but that doesn’t show customers want them. Yes it’s a compromise, so is a sports car. Its the same with motorcycling: it’s a compromise, but that comes with the territory. So disappointing, really wanted the manual option for this car. Been waiting for it to come out with one and the two engine choices are rather lacking. Hopefully, they’re just rumors and nothing’s set just yet. Save the manuals! I’ll definitely buy one if they have it in a manual.